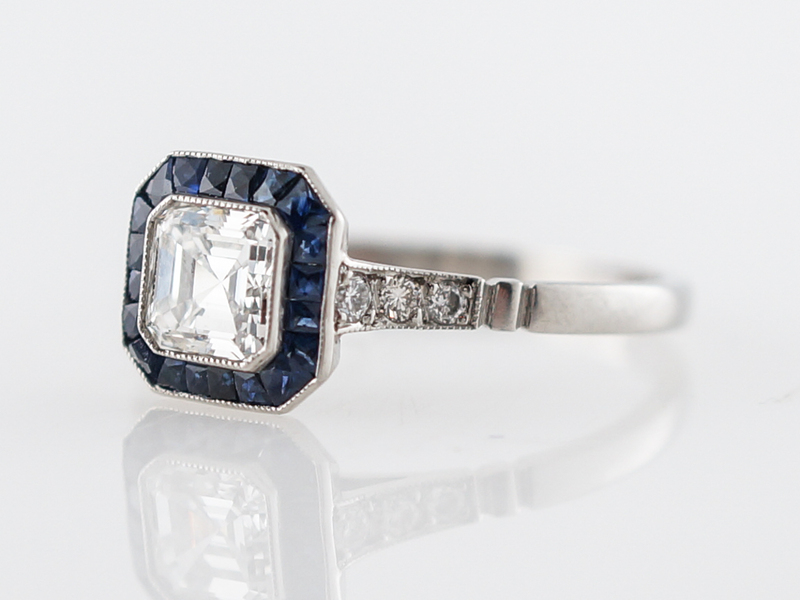 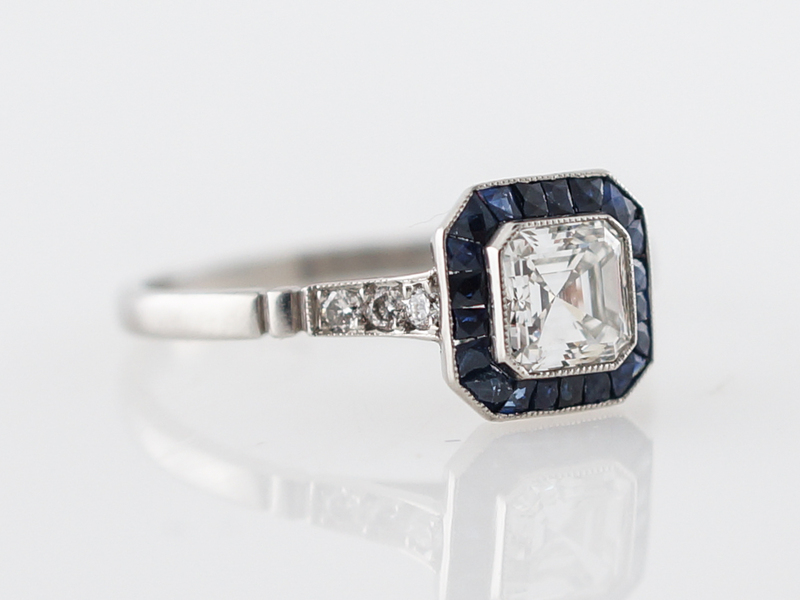 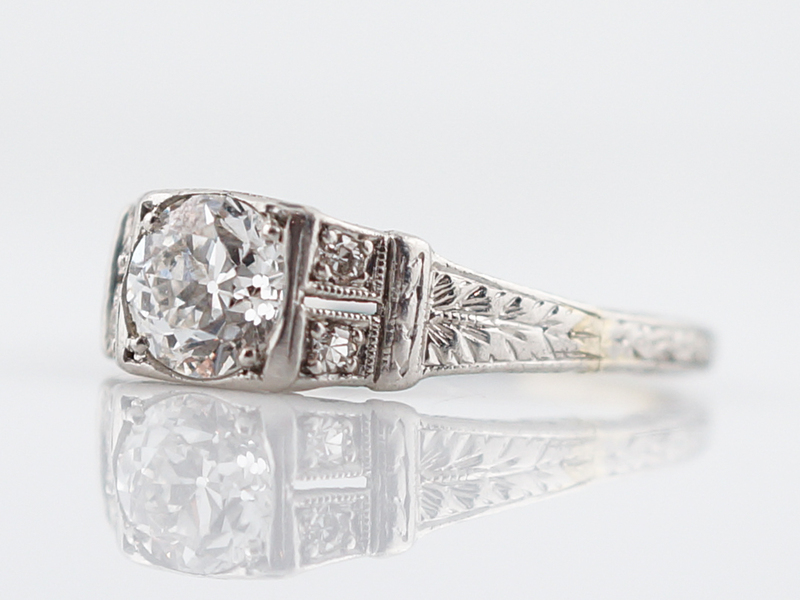 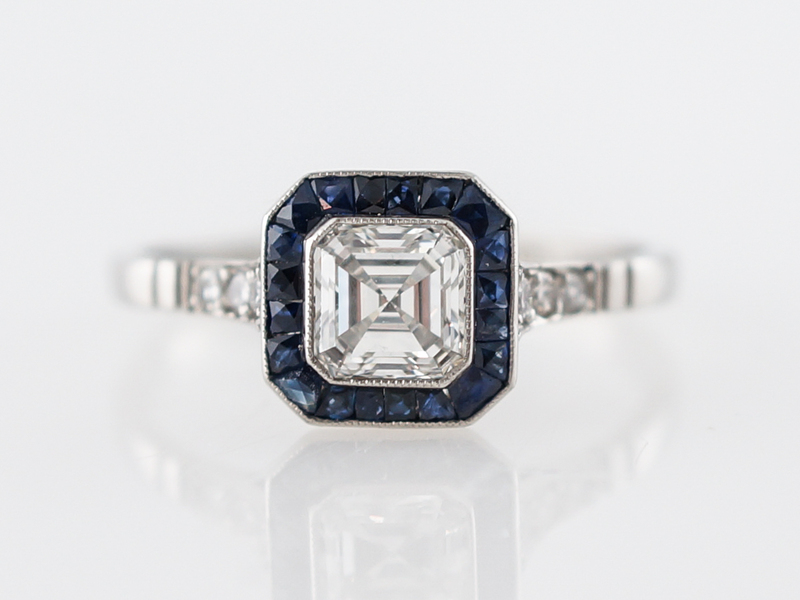 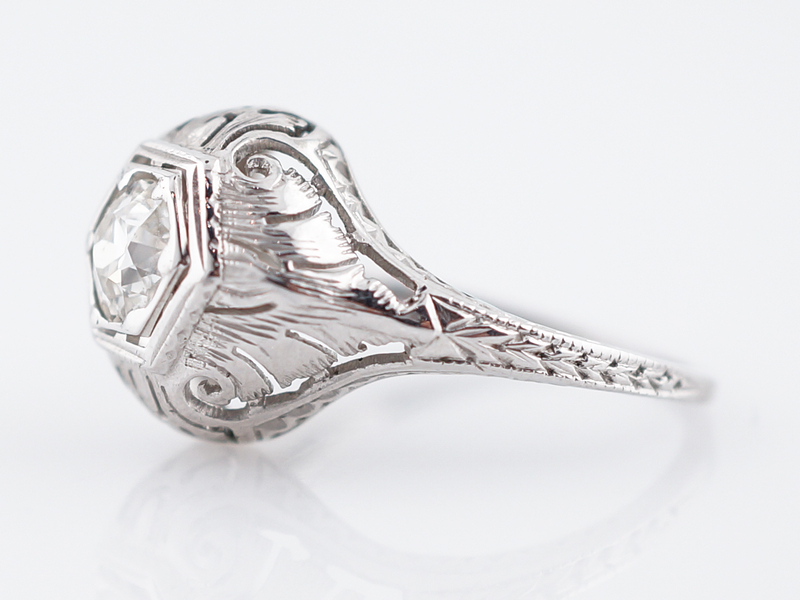 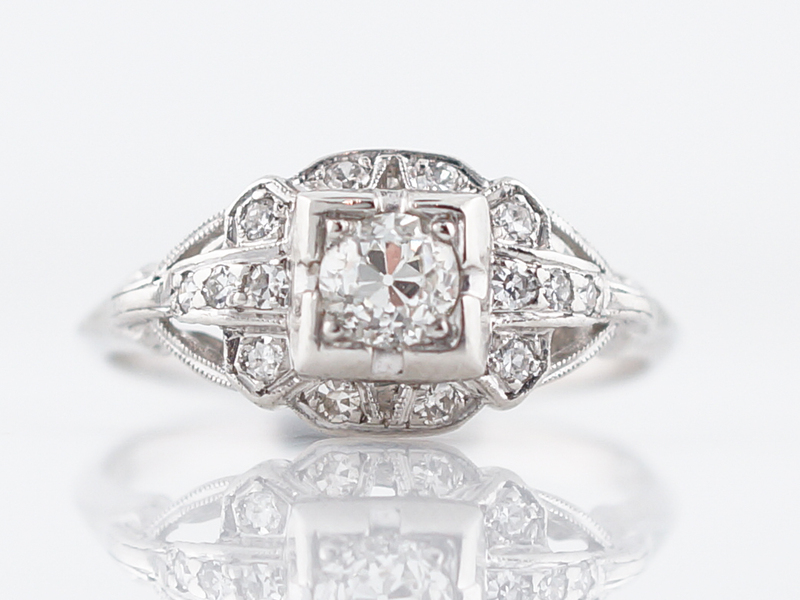 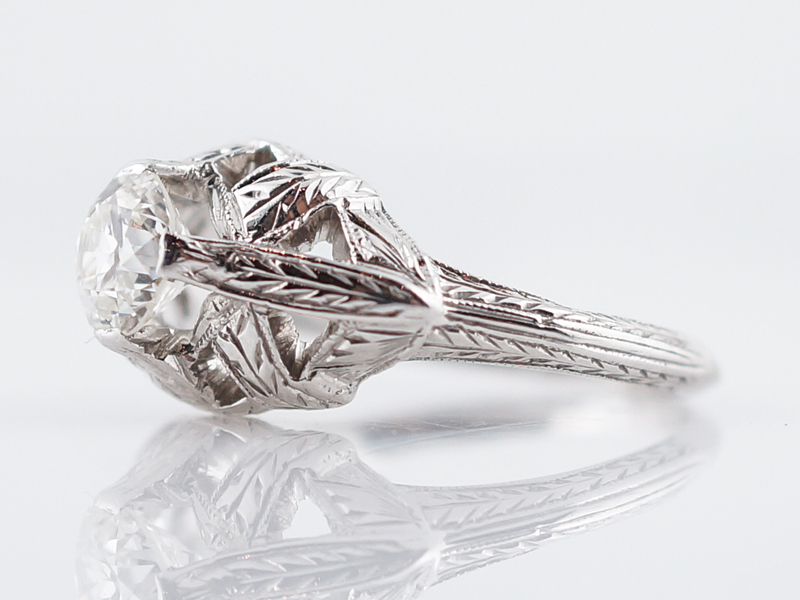 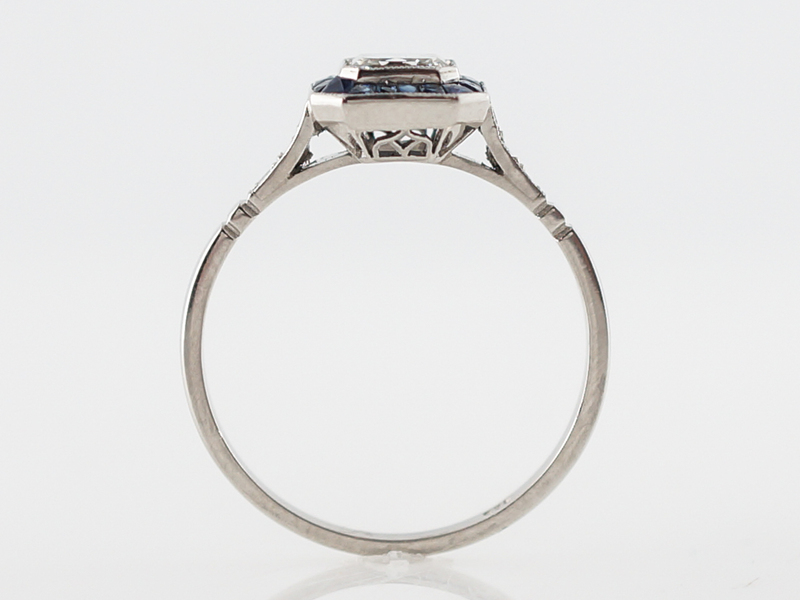 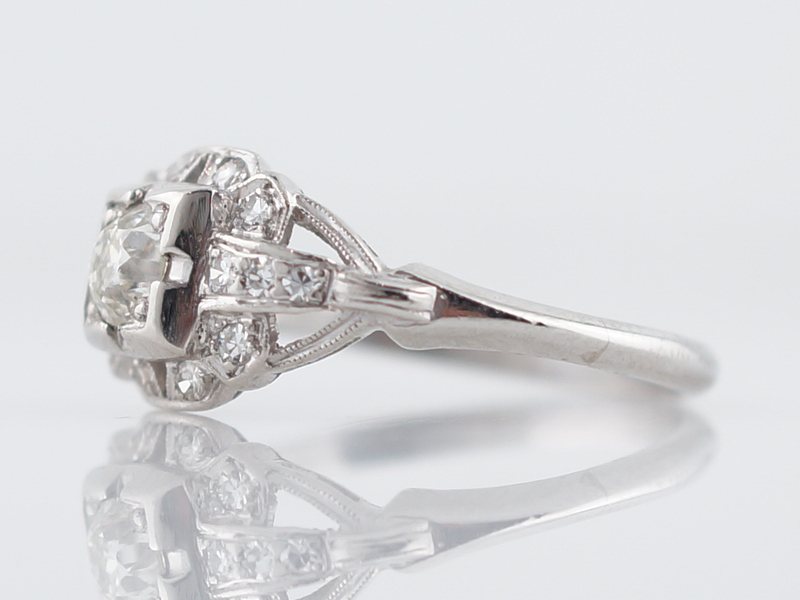 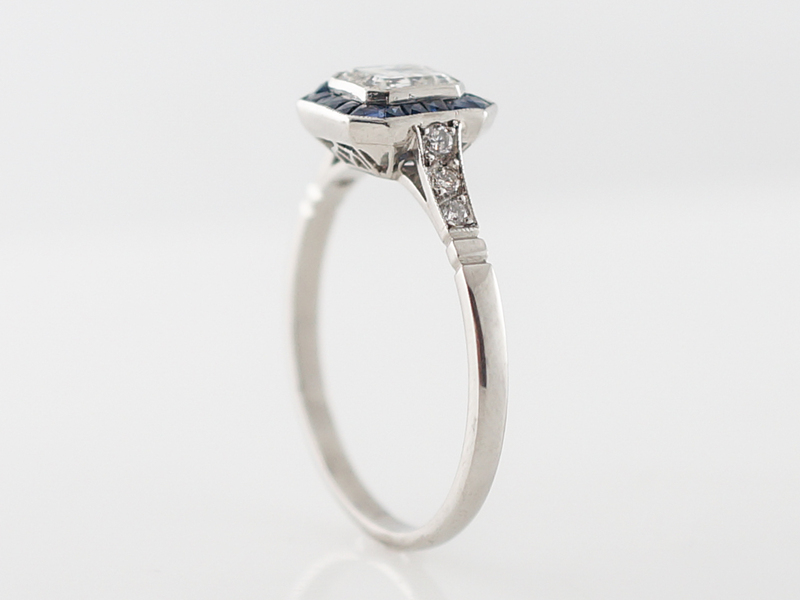 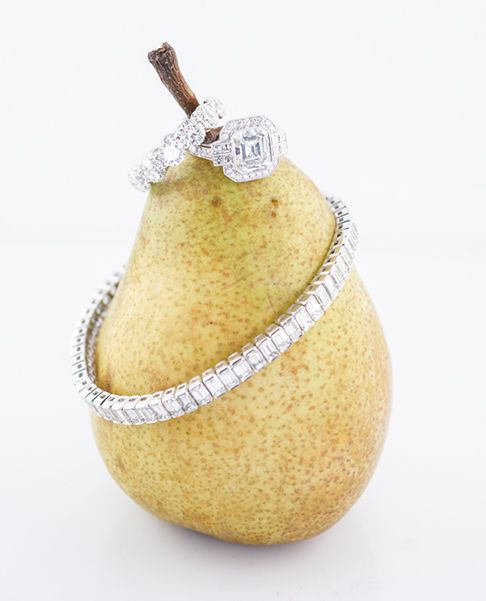 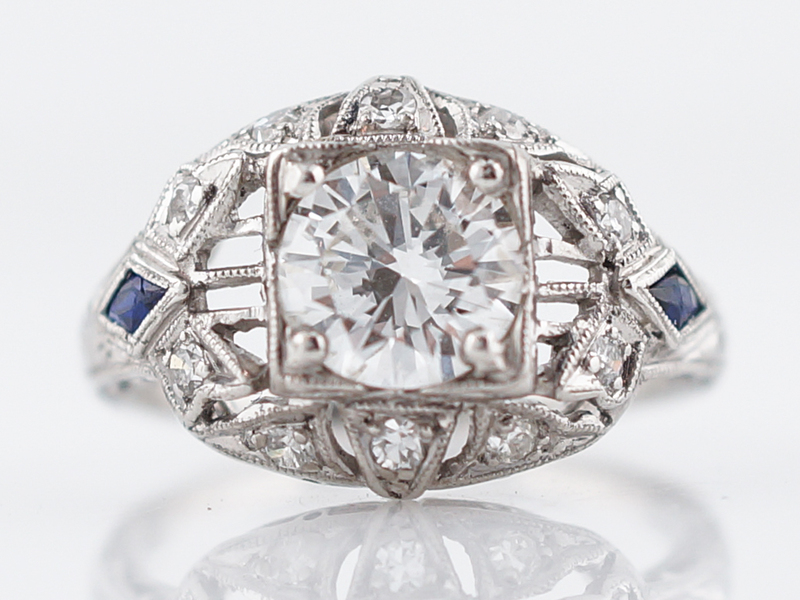 This modern engagement ring features a .66 asscher cut diamond. 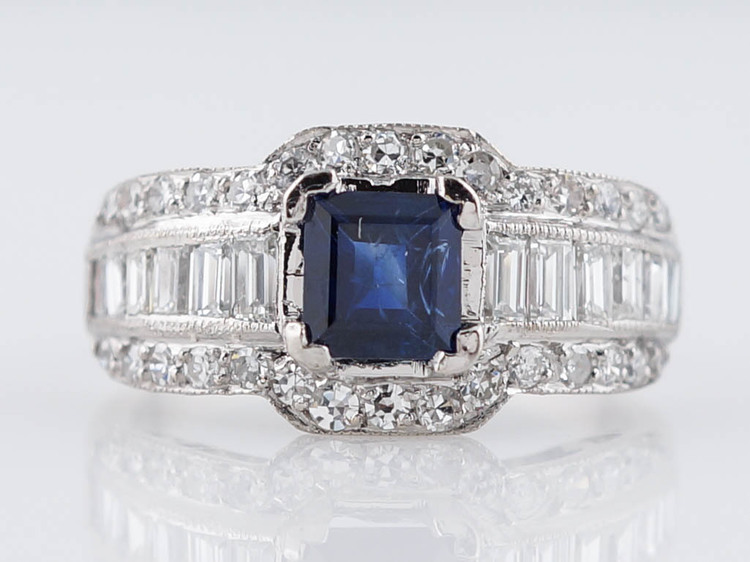 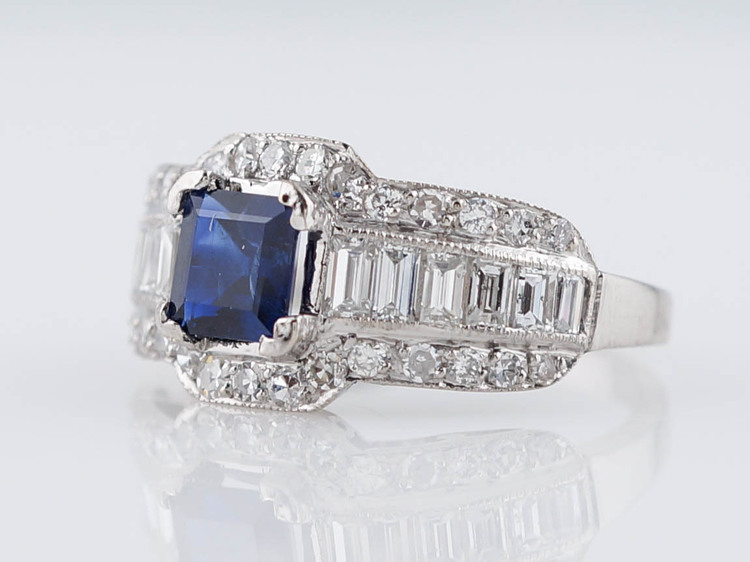 The center diamond is accented by a halo of French cut sapphires that provide a gorgeous frame for the stunning center stone. 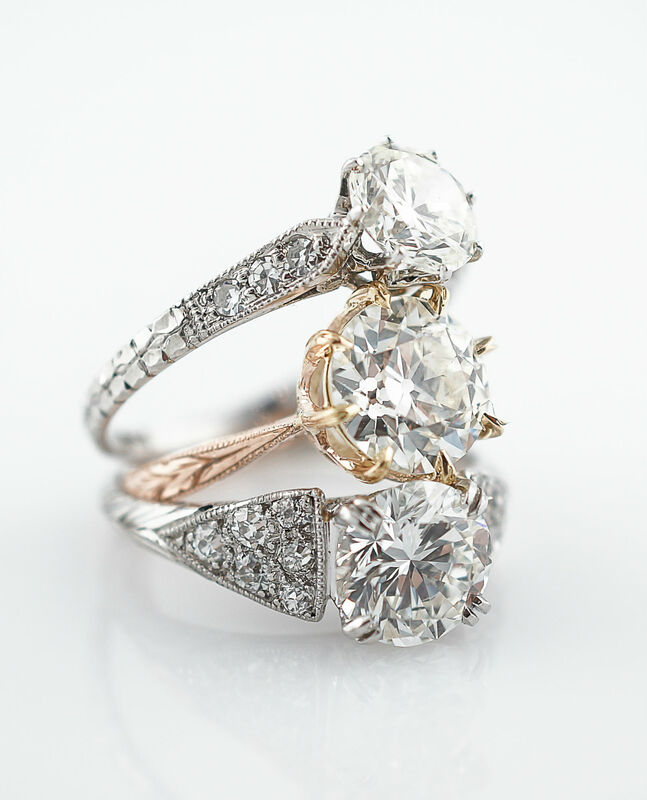 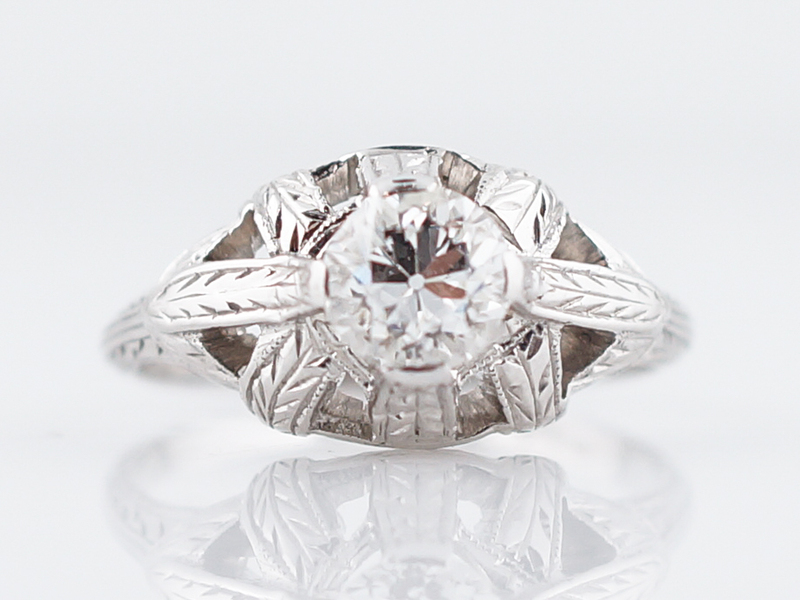 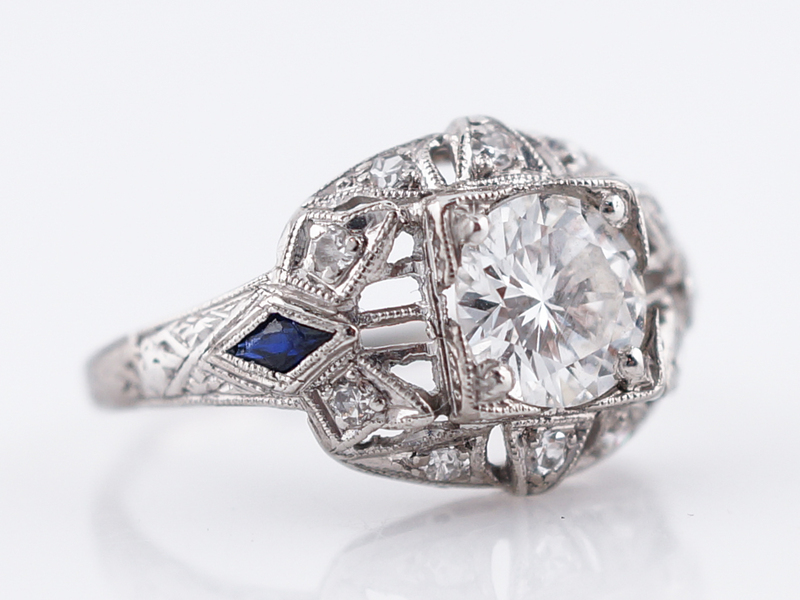 Additional accent diamonds adorn the shoulders of the ring while the undercarriage is beautiful open filigree work, allowing light to flow through and out the center diamond. 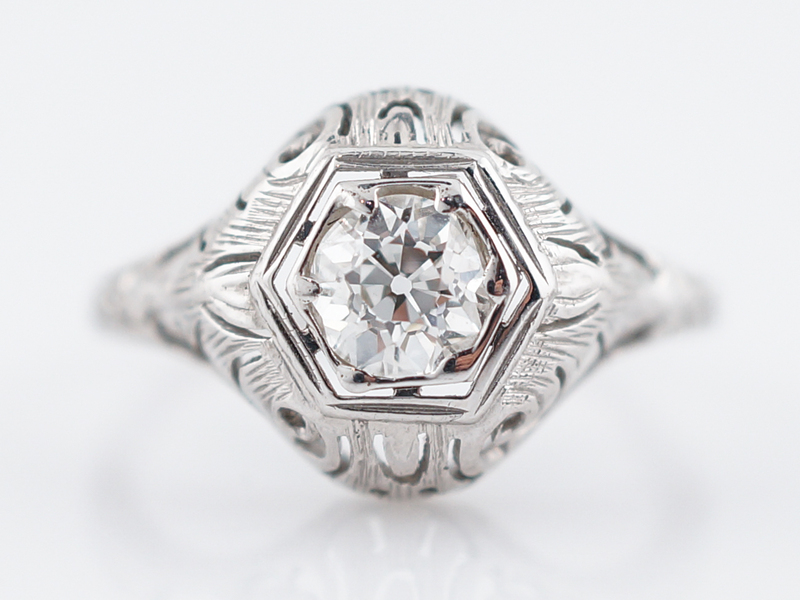 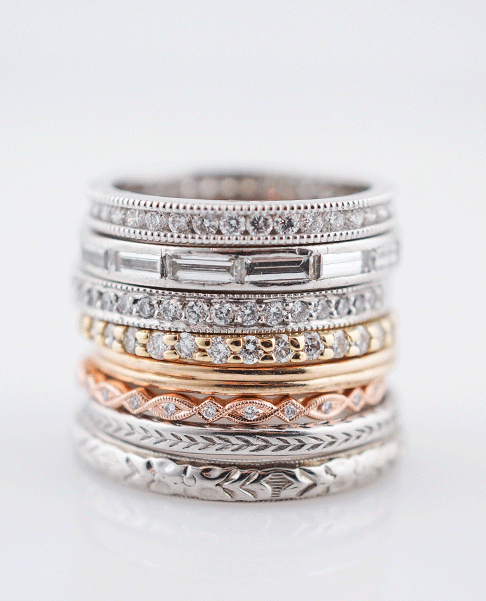 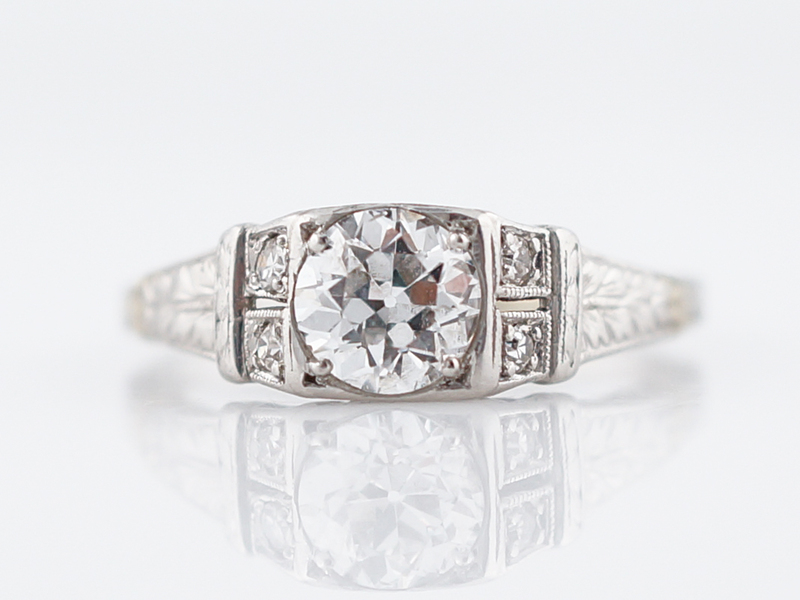 Finished in platinum, this geometric ring is a true stunner!